This is to think about, when you consider the impact of the proposed Cline Mine, in British Columbia few miles north of the border from Montana. You don’t have to go to Canada to find the Canadian mining companies polluting and damaging. Mercury vapor evaporates from the 30-some odd big gold pit mines in northern Nevada. The mercury combines with other elements and enters the food chain as weather deposits it over southern Idaho and Utah. Click to read the longer entry. ” The more Mr. DuBois and other scientists looked, the more they became convinced that airborne mercury, which has been linked to impaired neurological development in fetuses, infants and children, was coming north from Nevada’s gold mines. “There are things crossing state lines here that don’t know anything about political boundaries,” he said this summer on a visit to the reservoir, where prominent warning signs had been posted about consumption of fish”. So not only is the mercury in the waste, it is going into the air, and falling out on us all and into our water and ultimately creeping into our bodies. AND just a few days ago, I read an article about forest fires in parts of the West, now, releasing a lot of mercury into the air – and the source of the mercury was the Nevada gold mines. 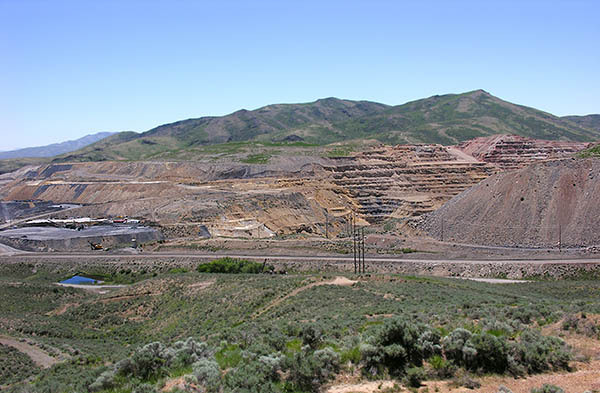 These gold mines in the Great Basin are overwhelmingly foreign-owned, Canadian multinational corporations/entities who are making many billions of dollars off of what had been public land that they grabbed under the bizarre and antiquated U. S. mining laws from the 1800s. End result: poisoning us all. Some big important politicians from BOTH parties – Larry Craig and Harry Reid – have long been responsible for thwarting long-needed change in U S mining laws that would change mining practices. Many of these mines or mine speculators hold or lease huge BLM grazing allotments – so U.S. taxpayers are even further subsidizing these foreign operations pillaging of the West’s public lands. http://www.wsdp.org . No matter what you think about the Dann sister’s and land claims, etc. – they have exhibited utmost bravery in taking on Big Gold in the epicenter of foreign gold mine destruction in the West. The article Ralph posted a couple days ago about a coal mine proposal across the border in Canada, and its potential effects on Montana watersheds and claims by the mining company of how benign it was, made me wonder, too – does Canada have tougher mining laws than the US??? Of course, that wouldn’t take, really, anything. AND another really important question in Idaho: How will Butch Otter’s DEQ deal with the toxic plume heading north and northeast from Nevada? Here’s a more direct link to the Mining section of the Western Shoshone site. Somehow the levels that trigger mercury fish advisories in Nevada are twice those that trigger mercury advisories across state lines … Strange how that works. Wild Horse Reservoir is just south of Duck Valley Reservation, and in the upper watershed of the Owyhee River system. Downstream from Wild Horse is all of the Idaho East Fork Owyhee, as well as the Oregon officially designated Oregon Wild and Scenic River system. So Idaho and Oregon river boaters and kayakers beware! The Shoshone Paiute Tribe actually runs campgrounds for fishing on Wild Horse – it all has to do with water rights issues, and I believe the reservoir was built to resolve some Tribal water rights concerns. There are several other articles of interest in the Minewatch section of the Western Shoshone Website. The regional nature of airsheds, watersheds and ecosystems illustrate the need for federal oversight of air and water quality issues … and uniform protective standards for everybody’s health. I wonder, when it comes time to regulate cattle methane emissions that are a primary cause of global warming – if Idaho’s will try to slide by with the worst standards in the nation? 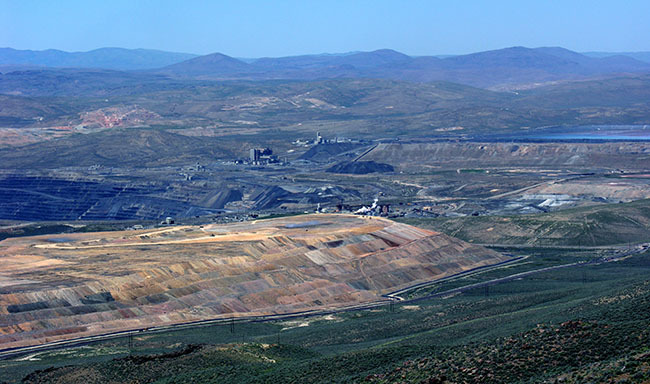 KT thanks for adding so much additional information about the Nevada open pit gold mines. The word “Downwinders” usually refers to those who were downwind of the above ground atomic bomb tests that were carried out in Nevada in the 1950s. The radioactivity didn’t just end up at Las Vegas or St. George (in SW Utah). Much of it carried into central Idaho and Montana. Once again we are downwinders from toxic clouds from Nevada, and I see where they are now planning to build coal fired power plants to export more pollution onto us (Nevada has no coal and little water for such enterprises, the only purpose for coal-fired electrical generation stations is the export of pollution). ?? Mercury does not simply “evaporate” into mercury vapor….. If mercury vapor is escaping into the atmosphere, it is through smelting or concentrating processes that are not being monitored or controlled properly. The implication here is that somehow mercury escapes into the atmosphere (unpreventably?) as a result of mining. Mercury boils at 674 degrees F……. It does not simply “evaporate”. I dislike the abuses of the mining industry as much as anybody….. but I dislike misleading information also. So long as civilization as we know it exists…. there will be mining…. it is necessary to support our way of life. Let’s look for real solutions for real problems…… mercury pollution is such a problem, and the solution is not to simply condemn the mining industry…. but to identify the vector by which it is entering the food chain…… and address it by making changes in the way extraction is done. Nobody wants a dump next door…. or a sewage plant…… a prison, an oil refinery, a clearcut, or a mine……. Yet we all want to be able to have our garbage hauled off….. we want our toilets to work, our criminals locked up, we want gas to run our cars, wood to build our homes, and the products that the mining industry has a hand in producing.. Let’s cut the CR_P here….. and look for real solutions for real people.